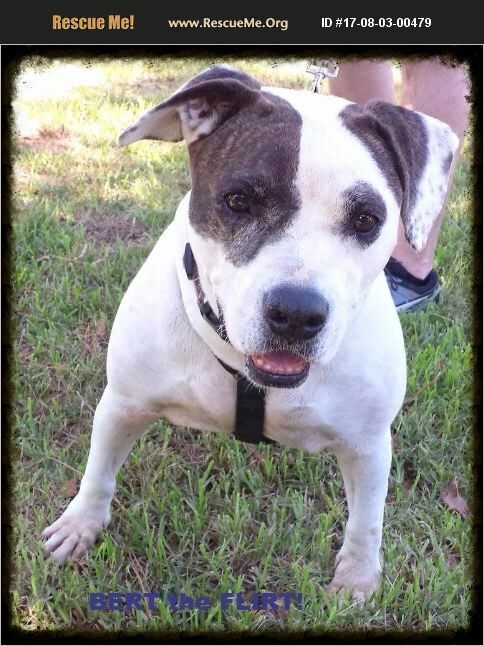 Texas American Staffordshire Terrier Rescue View other American Staffordshire Terriers for adoption. Bert is a lap dog 'wanna be' weighing about 55lbs. He is super loving with humans. Has primary been fostered outside. He was brought to the shelter w/ his brother Ernie and has been with the shelter a for about 5 years, found tied to the fence in emaciated condition. He's a strong happy boy!